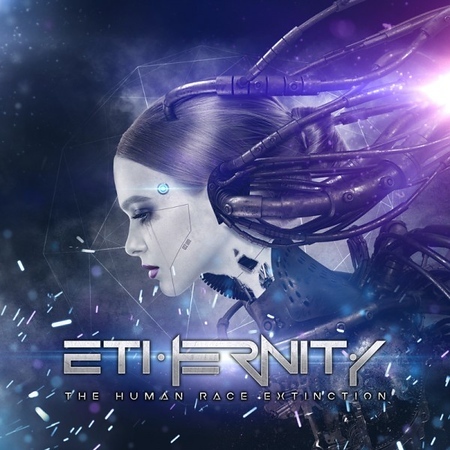 “The Human Race Extinction” is the third album by Belgian melodic progressive metal band Ethernity and it was released on 14th September by AFM Records. This is the female fronted band’s first album with AFM, with the previous two being released independently. There are 14 tracks on this concept album which lasts for over 70 minutes. The track “The Prototype” was included on the Friday NI Rocks Show on 17th August. Ethernity formed in 2000 and initially performed as an instrumental band until vocalist Julie Colin joined in 2005. Their debut album “The Journey” followed in 2006, but it was to be another nine years until the second album “Obscure Illusions” was released in 2015. The three founding members of the band all remain – brothers Julien and Nicolas Spreutels on keyboards and drums respectively, along with their cousin François Spreutels on bass. They were joined in 2001 by rhythm guitarist Thomas Henry. There have a number of changes in lead guitarist and that position is now held by Francesco Mattei. Checking out the band’s website I noticed that vocalist Julie Colin, who was apparently married to bass player François Spreutels, left the band in August for “personal reasons”.